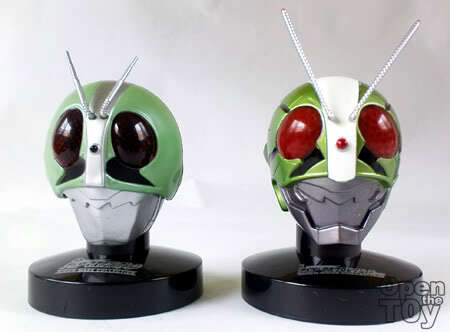 For the closing of Kamen Rider Week, I will share a couple of Masked Rider mini helmets I collected. Most of them are Insect looking ones which are my favorites. Getting these helmets are never easy as in one series, they will be couple the old ones with the new masked riders which many collectors are not that interested. So I have to pay more to get it separately. Enough of my complaining, let's get down on the review. Let's kick off with the oldest Masked rider helmet in my collection. The one that begin it all. 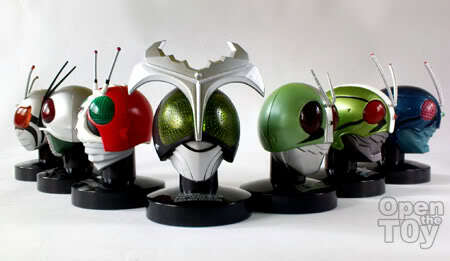 Comparing with the new remake masked rider, the new one do look much stylish to me. 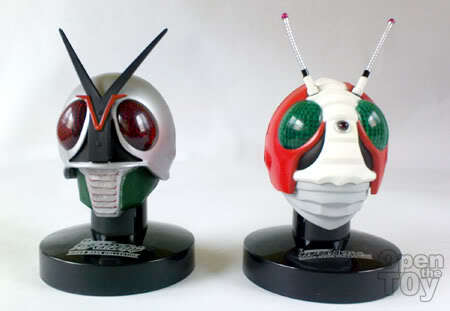 The newer rider 1 & 2 design remain the same, just as the color tone is different. 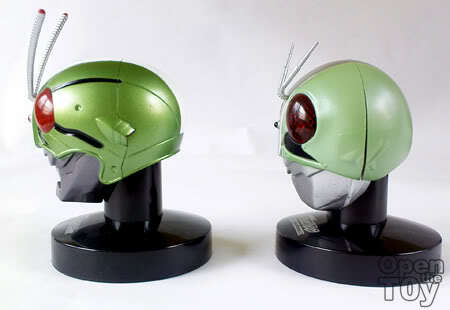 Same with the old rider 1 & 2 helmet. 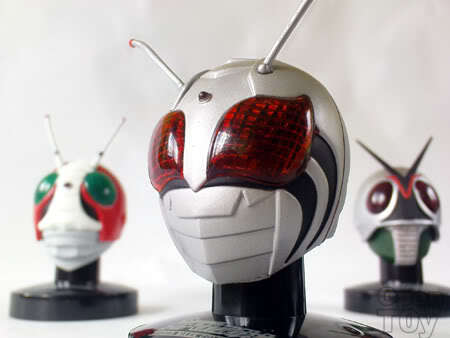 We come to Rider X (my childhood favorite) and the old V3 helmets. 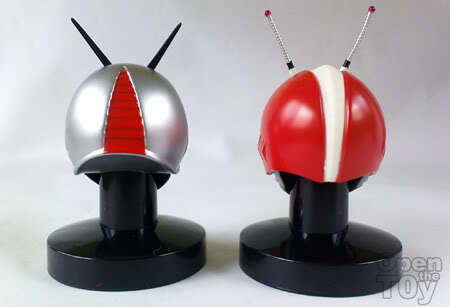 A rare view of the helmets' rear. 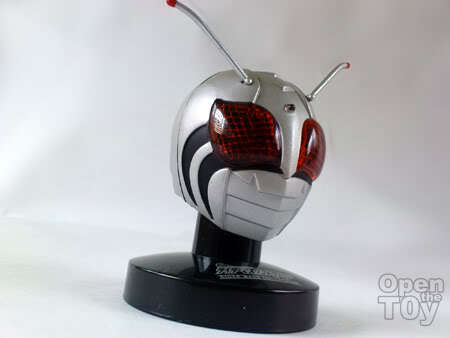 Next we have Rider Super-1! Take note of it's eyes. 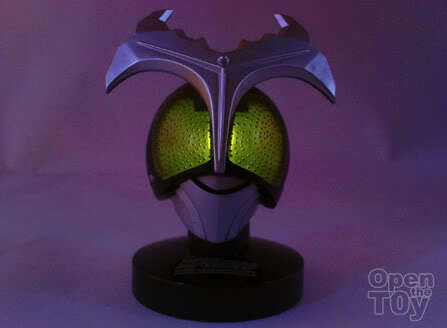 This is the first rider eye design that later will spawn on other riders. Placing Super-1, X and V3 in line. Spectacular view? 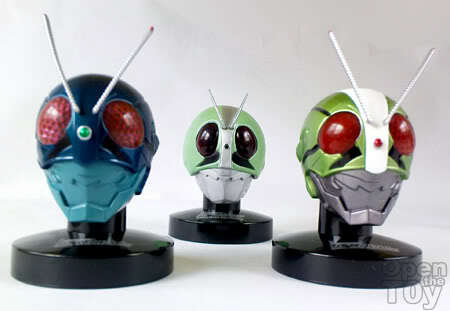 Now we all know Rider eyes do glow in some of the series. So can this helmet do the glowing? Yes it can! How was it done? Here's the secret. The stand come with the light bulb while the batteries are hidden at the base. 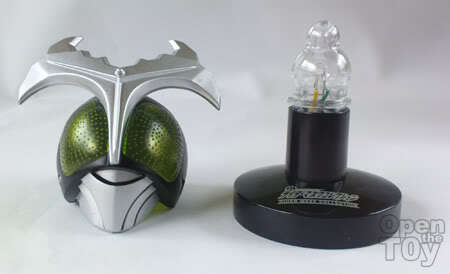 However, not all Rider helmet come with it. This lighting stand is a short pact and it cost a bit more. 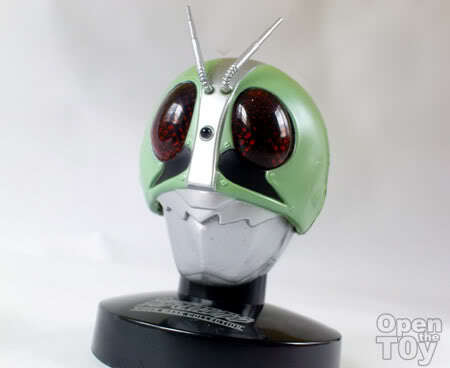 Even the Rider Stronger helmet was a variant. 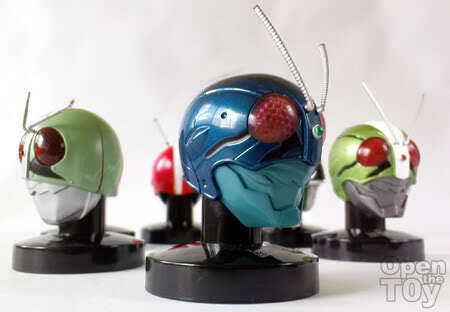 So that the end of Kamen Rider week! Thank you everybody! woow...what a great collections you had show us.. I love both the classic and new nigo..
Wow they look really detailed! Just wondering, do they work on any figures? 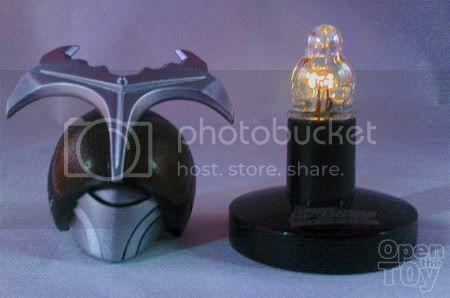 Because I've seen some Decade helmet collection from a magazine and they can be used on I think Figuarts figures. And how big are these? lookin' pretty sweet these helmets! 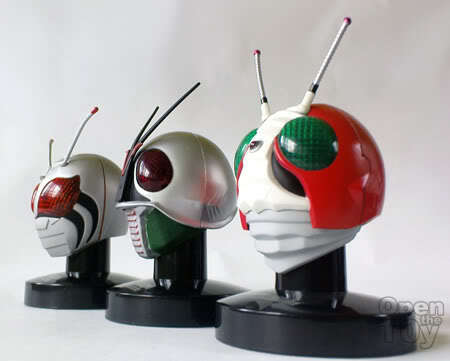 Nice group photo of all the different Mask Rider helmets.